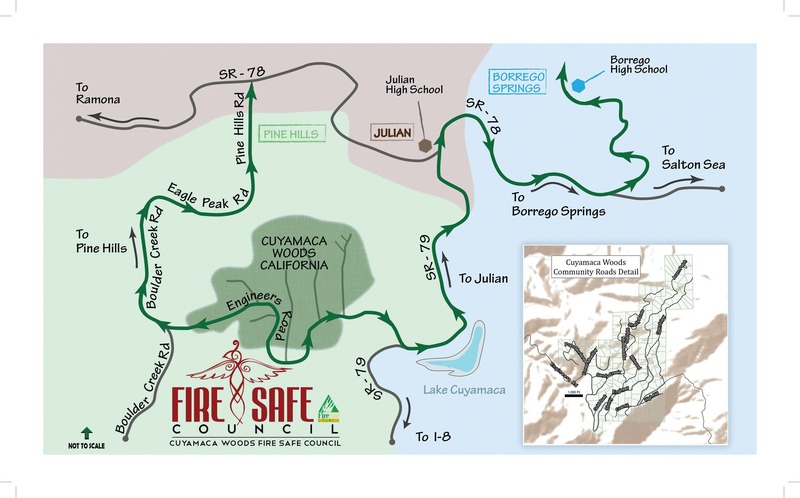 Cuyamaca Woods Fire Safe Council, Inc.
Cuyamaca Woods is a mountain community in the Julian area of San Diego County. Established in 1967, this self-sufficient , off-grid community includes 210 property owners on 226 lots. We enjoy a quiet lifestyle marked by brilliant night skies full of stars, visits from deer and wild turkey, oak, cedar and pine trees, snow in the winter and hot, dry summers, and a vista to the ocean and San Diego coastal city lights. In 2003, our community was devastated in the Cedar Fire, with 51 out of 71 homes being destroyed. 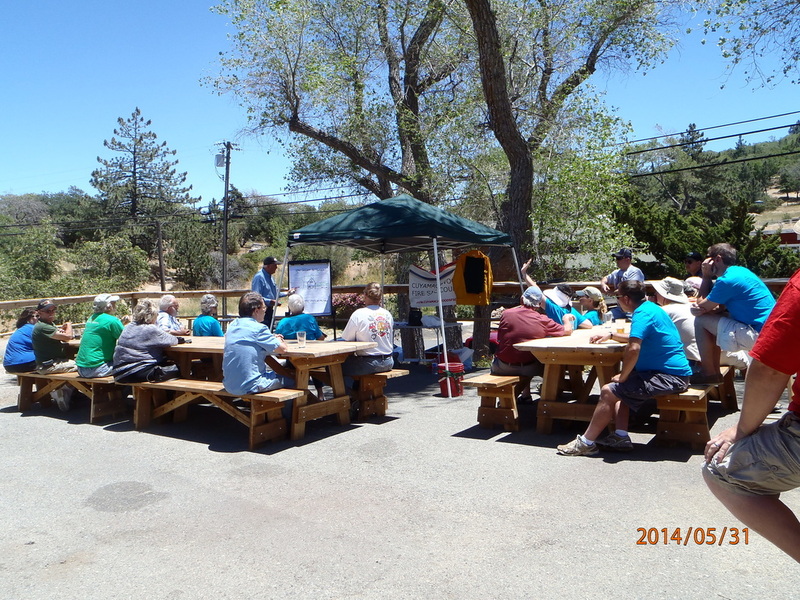 Afterward, the neighbors and property owners created the Cuyamaca Woods Fire Safe Council to reduce risk to lives and property in the event of a future wildfire. Click here to learn more about our goals, programs and activities. Click here to see the agenda for the upcoming meeting, past meetings and meeting notes. 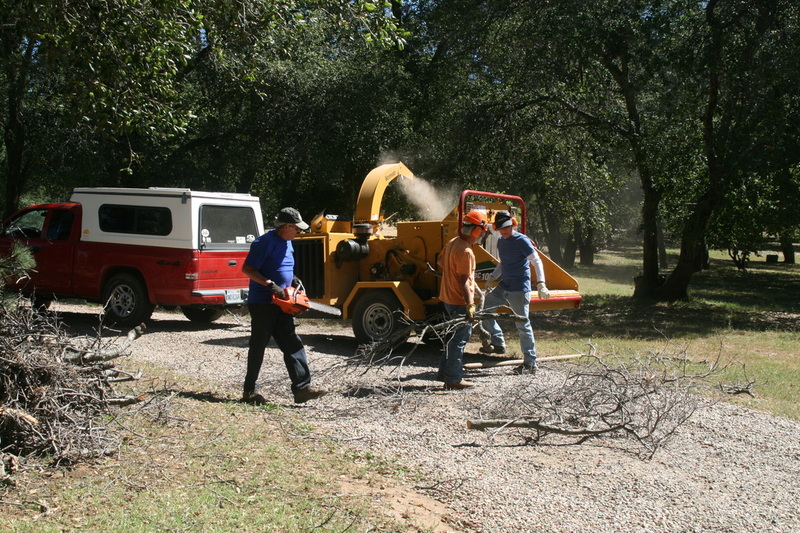 WILDFIRE COMMUNITY PREPAREDNESS CLEAN-UP DAY MAY 4TH. CLICK HERE TO LEARN MORE. ​Click here to see upcoming free education and chipping events.